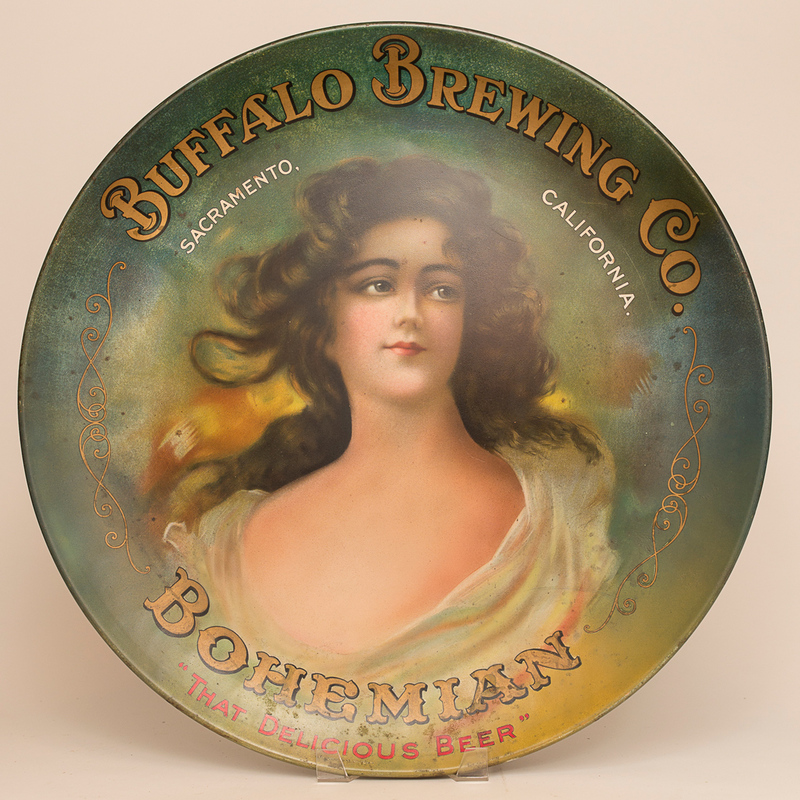 24" diameter display charger for Buffalo Brewing Co.'s Bohemian Beer. This Charger is truly a highlight piece of any collection and the chance to obtain one in this condition is rare indeed. Colors are very strong with only minor spots of discoloration that could likely be cleaned up with some professional restoration.